In Mom’s early and middle stage Alzheimer’s, she loved exercise. 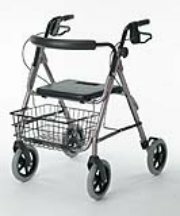 Although she had an arthritic knee, she liked cruising through her small neighborhood, chattering and visiting as she went. Besides walking and visiting with her neighbors, Mom was also a great shopper! Though I didn’t inherit her clamor for shopping, the larger the mall the better, I learned to enjoy our weekly trips foraging for bargains and getting exercise at the same time. As Mom’s Alzheimer’s progressed, though, her energy for exercise wound down. By late middle stage we had shifted from large shopping malls to Walmart, then single story home decor stores. Eventually, we were lucky to make a few aisles in the Dollar Store. Mom’s swollen arthritic knew put an end to her walking long before Alzheimer’s had slowed her down. Caution should always be taken when walking with a person who has Alzheimer’s Dementia. Many folks with Alzheimer’s have spatial issues , often having a sense that they are falling when actually they are not. 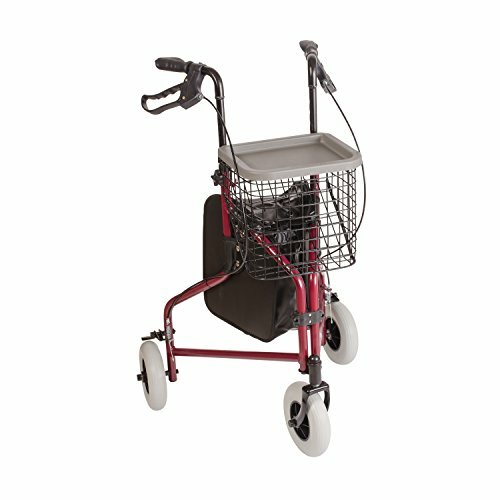 Rollators are a comfortable way for them to travel. It gives them security and assists in their balance. Mom would often reach-out to steady herself or re-gain her sense of balance. Later, as she walked she had gained a slight shuffle for fear of falling . This is when a walker comes in handy. They feel more comfortable simply knowing the support is there if they need it, much like a security blanket. As they strive for balance and work through this fear of falling, they often appear to shuffle their feet. 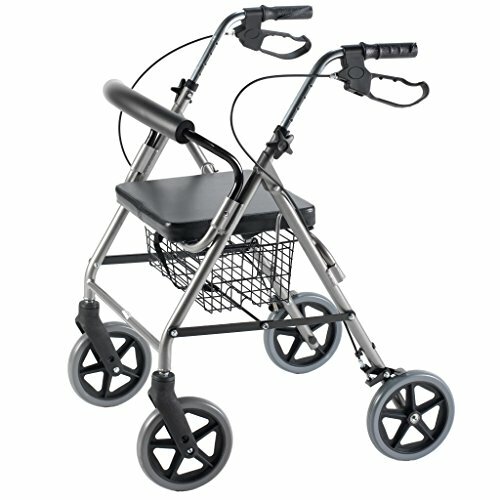 As stated earlier, the walker gives them a sense of security for those moments they may be thrown off-balance. I noticed more than one person from the “Group Home” where mom eventually moved, with Vertigo. I’m not certain why, but assume it was due to advanced age as was the case with Mom. Mom had several bouts of Vertigo and was prescribed medication. Besides being great exercise for their heart and stamina, a nice slow walk in the afternoon helps to soothe the patient and lower their anxiety level. They’ll be more tired and ready for bedtime with less restless or anxious moments before bed. Along with a Walker , good walking shoes are a must for the patient who can still do their heart-healthy walking! And just to be safe, you might try the Velcro Closures rather than regular string shoe laces. Tying their shoes is often forgotten in the earlier stages and a loose shoe string could cause a bad fall. Many malls open their doors a couple hours early simply to create a safe environment for regular walkers. Try to find one in your neighborhood and enjoy a nice walk with a loved one and share some great conversation with your neighbors too. If they don’t need a walker yet, it sure doesn’t hurt to give them the support of a cane , just in case. My sister-in-law always brings a cane no matter where she goes, just in case. Many elderly people are house bound.